Illustrations note XI, 174 p.
​This book explores the relationship between transnational and local Islam as expressed in public discourse and policy-making, as represented in the local press. It does so against the background of local governments in majority Muslim regions across Indonesia promoting and passing regulations that mandate forms of social or economic behaviour seen to be compatible with Islam. The book situates the political construction of Islamic behaviour in West Sumatra, and in Indonesia more generally, within an historical context in which rulers have in some way engaged with aspects of Islamic practice since the Islamic kingdom era. The book shows that while formal local Islamic regulations of this kind constitute a new development, their introduction has been a product of the same kinds of interactions between international, national and local elements that have characterised the relationship between Islam and politics through the course of Indonesian history. The book challenges the scholarly tendency to over-emphasise local political concerns when explaining this phenomenon, arguing that it is necessary to forefront the complex relationship between local politics and developments in the wider Islamic world. 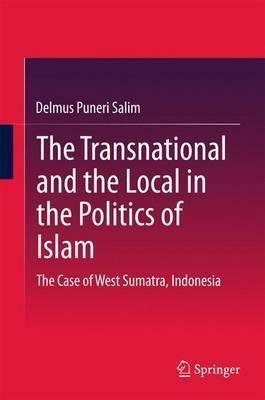 To illustrate the relationship between transnational and local Islam, the book uses detailed case studies of four domains of regulation: Islamic finance, zakat, education, and behaviour and dress, in a number of local government areas within the province. Chapter 1: Introduction.- Islamic Regulation in the Regions: A Review of the Literature.- Islamic Regulation as Social Product.- Transnationalism.- The Social and Economic Meanings of Islamic Regulation.- Methodology.- Book Outline.- Reference.- Chapter 2: Islam, Politics and Identity.- West Sumatra, the Malay World and the Coming of Islam.- The Regulation of Islam under the Dutch.- Nationalism and Islam.- Islamic Politics after Independence.- Islam and Politics in Suharto's Indonesia.- Islam and Identity since Suharto.- Conclusion: The Assertion of Islamic Identity in West Sumatra.- Reference.- Chapter 3: Islamic Finance.- The Religious and Social Meanings of Islamic Finance.- Islamic Finance in Indonesia.- Islamic Finance in West Sumatra.- Conclusion.- Reference.- Chapter 4: Zakat.- The Religious and Social Meanings of Zakat.- Zakat in Indonesia.- Zakat in West Sumatra.- Conclusion.- Reference.- Chapter 5: Islamic Education.- The Origins of Islamic Education.- Global Perspectives on Islamic Education.- The Development of Islamic Education in Indonesia.- Islamic Education in West Sumatra.- Conclusion.- Reference.- Chapter Six: Behaviour and Dress.- The Religious and Social Meanings of Behaviour and Dress.- Behaviour and Dress in the Islamic World.- Behaviour and Dress in Indonesia.- Behaviour and Dress in West Sumatra.- Conclusion.- Reference.- Chapter Seven: Conclusion.- Transnational Factors.- National Factors.- Local Factors.- The Politics of Islam in West Sumatra.- Appendix A: Newspaper Articles.- Appendix B: Islamic Laws and Regulations. Delmus P. Salim has studied sociology at Flinders University and anthropology at the University of Aberdeen to improve his understanding of Islamic scripture and the traditions of the Prophet, which he lectures in at Manado. His study of sociology taught him that Muslims' interpretations of their religious duties are influenced by their cultures, whereas his studies in anthropology reminded him that all Muslims necessarily differ from one another, since each perceives Islam in different ways. These educational experiences encouraged him to look at Islam from another perspective, namely politics for this manuscript at the university of Sydney to which this book is derived.